Just in time for Christmas the Haworth shop has just received the Bachmann ‘The Railway Children’ Train pack. This collectable gift pack will delight fans young and old, of the popular childrens film. Based on the novel of the same name by E. Nesbit, the film follows the adventures of the Waterbury children on the fictional ‘Great Northern and Southern Railway’ in Yorkshire. The director Lionel Jeffries used the Keighley and Worth Valley Railway and its station Oakworth as a backdrop for the film. 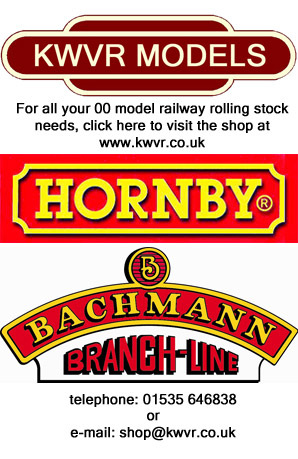 For more model railway train sets, packs and rolling stock, click HERE. I wish they would produce this in N Gauge! Would look great on my KWVR inspired model railway!